Map of Missouri showing early county configurations. 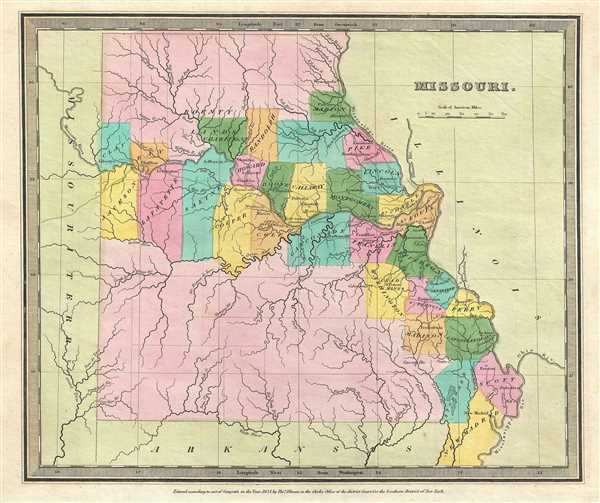 This is an unusual 1834 first edition map of Missouri by David H. Burr. It depicts the very early county configuration with most of the population attached to the Mississippi and Missouri rivers. The western portion of the state is defined by large counties and is largely uninhabited while the northern and southern portion of the state does not note any counties at all. Rumsey 4628.047. Philips (Atlases) 771.